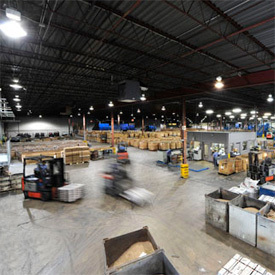 Since IMET was founded in 1987, our mission has remained constant: to increase our customer’s profitability and ensure them peace of mind with every respect to handling their scrap. As IMET has grown through the years we have been committed to investing back into our company in order to expand our operations and capabilities to meet our customers’ needs. From our first warehouse in Chicago to our 132,000 square‐foot plant on nine acres in Elgin, IL, IMET continues to innovate ways to efficiently facilitate the handling and processing of the scrap that we purchase. From foundry‐grade refining expertise to high‐capacity cable and wire processing, our technologies yield the uppermost recoveries in the industry, allowing us to maintain a competitive advantage over our competitors while ensuring the materials entrusted to us are fully recycled in the most responsible way.